When Computer Link owner Tony Wilson founded his store in 1994, he knew that the key to success was providing service. Having a background in computer trouble shooting, Tony had seen how people depended on their systems, and how important it was to get them back in business quickly. 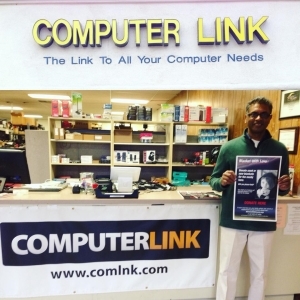 Since then Computer Link has grown by leaps and bounds to become Stockton's largest locally owned and operated computer center. The same prompt, courteous service that lead to Computer Link's success is still there today. Stop by and see for yourself why Computer Link is number 1 in Stockton. Computer Link is the Factory Authorized Service Center for Apple, HP, IBM, and Okidata.